Organising travel for your team is time-consuming. Add the pressure of a new client or valuable customer, and arranging transport can be stressful. A Wetherby Private Hire corporate account takes the weight off your mind. We’ve simplified payment plans to reduce expense claims and admin time, and guarantee reliable transport that delivers a great first impression. Important client. Give them a professional welcome with Wetherby Private Hire. With a corporate account, you’re assured of availability. Prompt, high-quality and reliable transport awaits your client on arrival. After that, winning the business is down to you. Using different private hire firms? You’ll be tackling multiple travel claims, questionable fares, and unreliable arrivals. 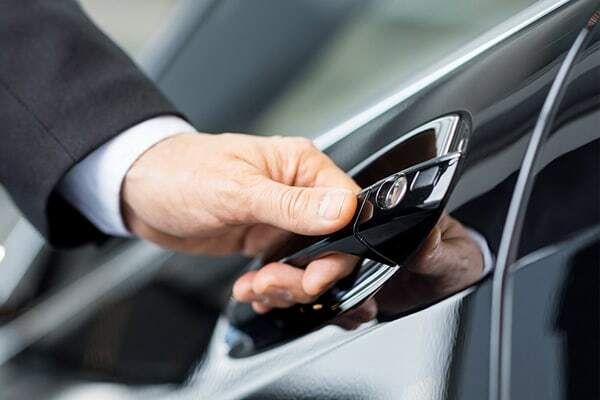 With a Wetherby Private Hire corporate account, business travel is straightforward. Working with one, trusted private hire firm makes travelling simple for your team – and their expenses. Client arriving unexpectedly? Last-minute meetings are difficult enough: let us take away the worry of organising travel. With a corporate account, we guarantee vehicle availability, so you can call on us for those last-minute pick-ups. Create your corporate account in just a few easy steps.